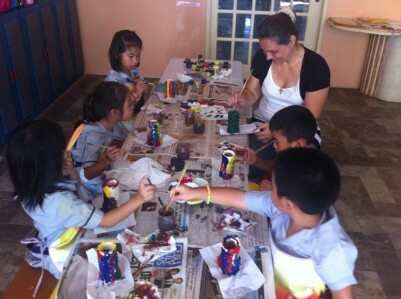 The French program at Abraham’s Children Montessori is geared towards oral expression. The goal is to be fearless in attempting to speak a world language not your own, and therefore to be open to new experiences, friendships, and international dialogue. Physical activity is a vital part of the development of the whole child. Physical activities and instruction are a part of every day at Abraham’s Children Montessori. 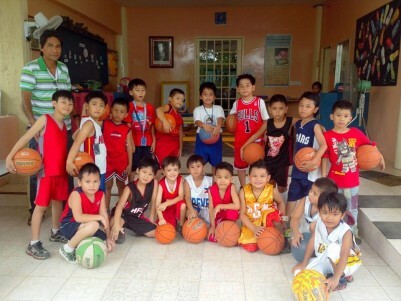 We promote physical activity everyday through the use of the basketball court and our playground. 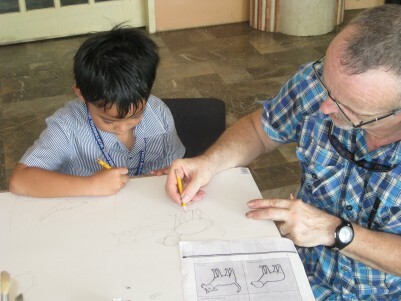 The students of Abraham’s Children Montessori are provided with various materials and encouraged to try different media and create their own masterpieces. 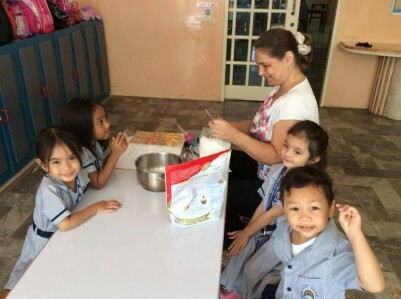 Seasonal crafts and other activities that tie in with our units of study are a part of our school curriculum. Fine motor skills, nutrition, science concepts, sensory exploration, cooperation, measurement, shapes, following directions, fractions and many more. Finger plays is presented to our students under the direction of our music teacher. 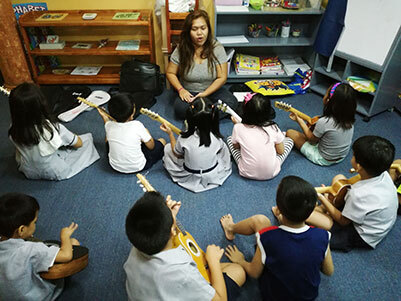 Musical studies begin with singing and ear training exercises with our younger children, and continue with the study of instruments and various musical styles with our older children. Photography is not just about pointing and pressing a button; it’s a decision-making process. One of the best reasons for working photography into Abraham’s Children Montessori is that it helps kids better understand the media images they’re bombarded with every day. 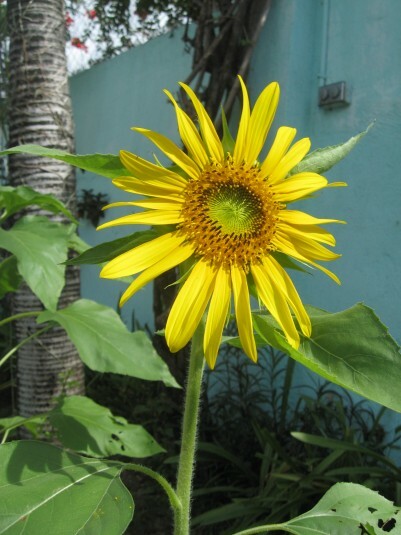 Photography is also just plain fun, and it’s a wonderful foundation for community-based projects. It is also helps kids look much more carefully at the world around them. The DANCE class is beneficial to our student’s development in balance, coordination, self esteem and body awareness. 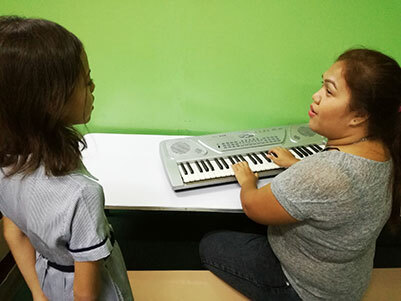 Our students are given the opportunity to express themselves through dance and movement to different styles of music twice a week. This program is in collaboration with BALLETCENTER AYALA. 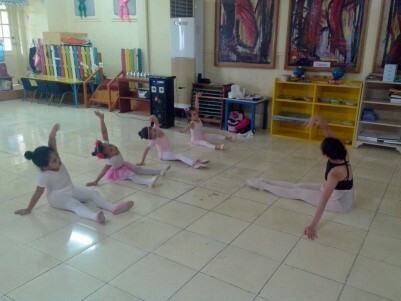 Ballet class is open to students and non-students of Abraham’s Children Montessori. 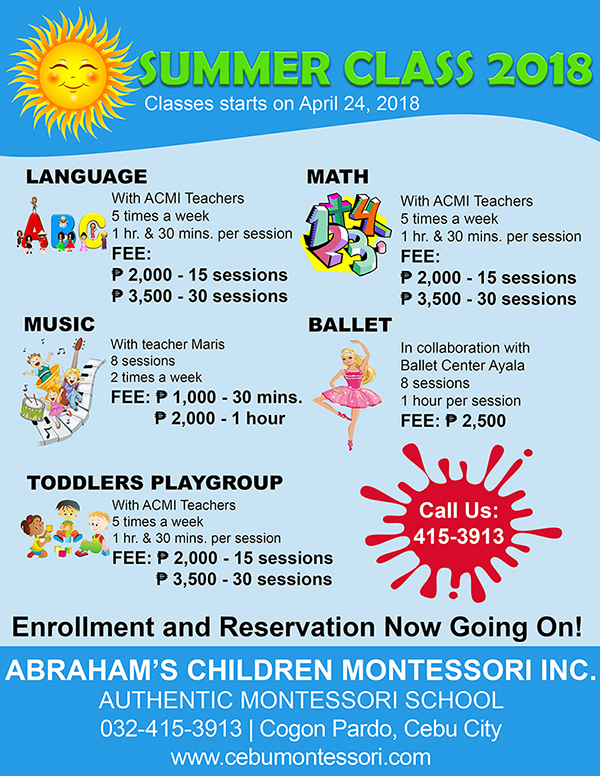 © 2015 Abraham's Children Montessori Inc. Web Development by disrApptiv Technologies.